TARGET Mini kit combines a built-in battery 1400mah and guardian ccell tank 2ml. This cool mini kit features enhanced circuit, child locking and various modes. Together with true leak free Guardian cCELL tank, you will enjoy a great flavor and vapor experience. 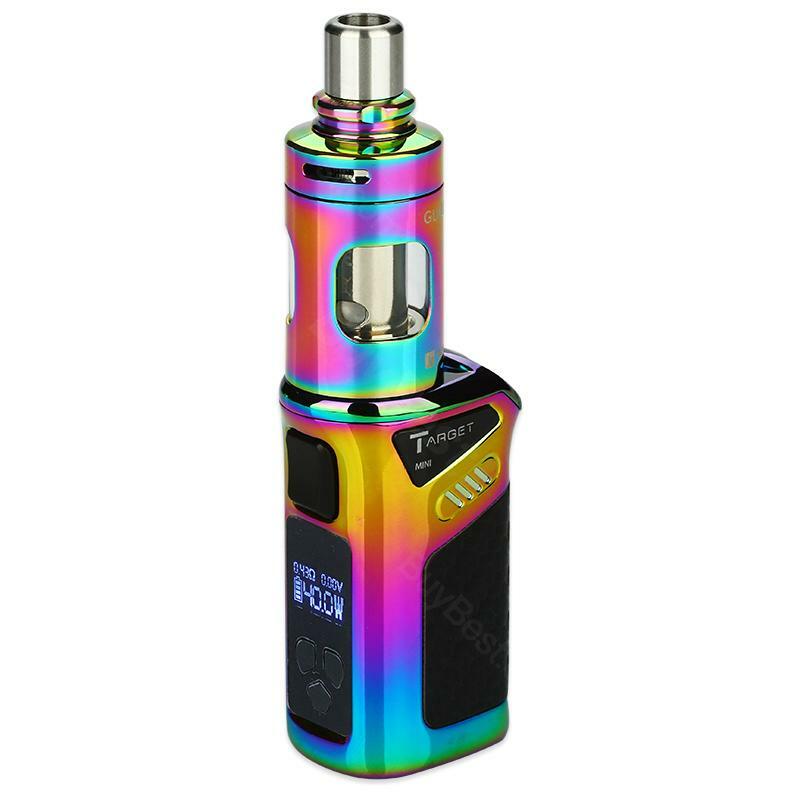 • The MOD is in white, while the tank is in steel color. The product is well built and seems high quality in hand. Since its small and it can be re-charged quite quickly. One of the best compact kit. It's just perfect! Ideal vape for me. TARGET Mini is the best, great service, and fast delivery. I didn't expect too much from the quality of the TARGET Mini . To my surprise, it's just outstanding!